Roofglaze has designed, manufactured and installed a number of bespoke Roofglaze Solis rooflights, as an integral part of the new Primary School development at London Academy. London Academy was originally constructed between 2002 and 2006, following the designs laid out by the highly-esteemed team of architects at Foster + Partners. Having initially been opened as a Secondary School and Sixth Form College, there was an opportunity to provide a Primary School contained within the original London Academy Campus and offer students the chance to attend the same institution. The benefits of natural daylight in an educational setting have been proven at length by various research studies conducted in recent years, with the key conclusions being that academic performance and student well-being improves when their exposure to natural daylight is increased. 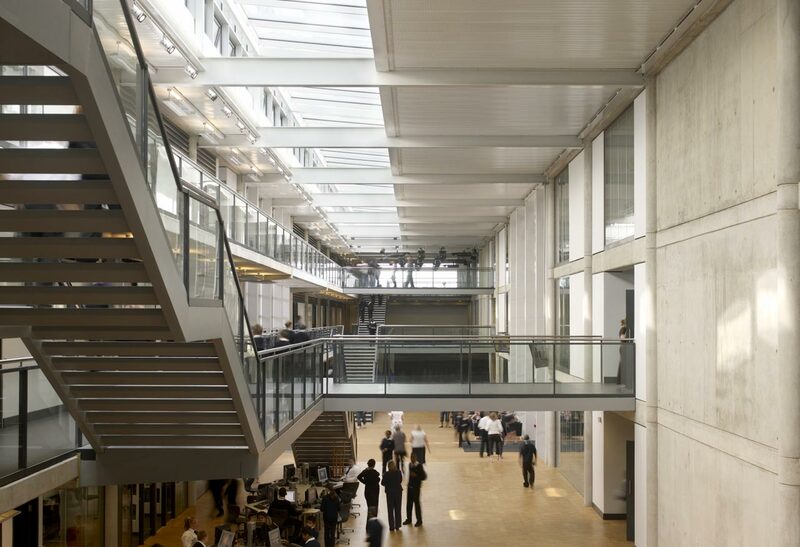 Roofglaze was commissioned by Elliott Group to provide the desired levels of natural daylight to this project, which required the provision of 4 No. bespoke Roofglaze Solis rooflights with vertical glazed upstands. All of these new rooflight areas are double glazed units, consisting of high-performance, solar-controlled 6mm Pilkington Suncool 50/25 heat soaked toughened outer panes and 9.5mm laminated inner panes. In terms of thermal performance, these rooflights provide centre-pane U-values of 1.1W/m2k, which is a particularly impressive figure given their double glazed construction and the overall size of these units. All four of the bespoke Roofglaze Solis rooflights installed on this project have an external span of 4220mm. The smaller skylights here range from 4542mm to 5772mm in length, with the main rooflight coming in at a considerably larger 53272mm. 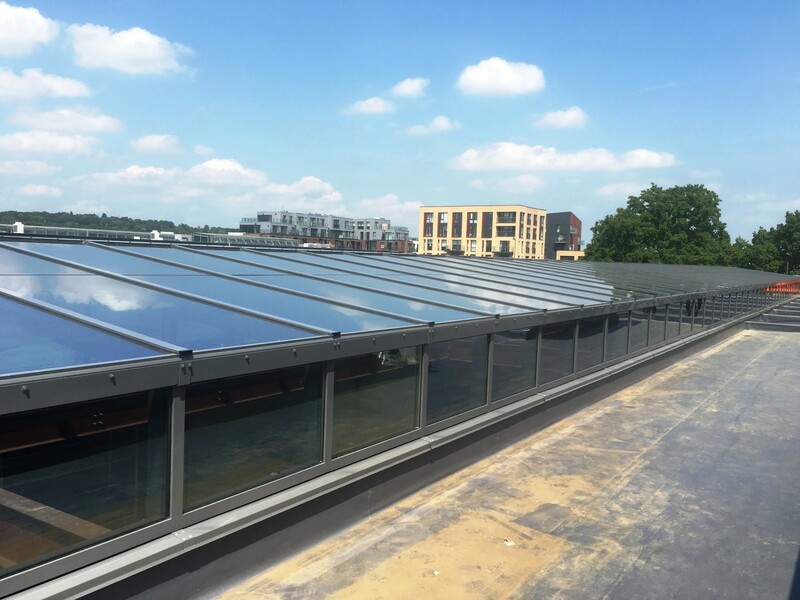 Despite the large scale of the project, Roofglaze was able to design, supply and install these rooflights in good time, allowing the new London Academy Primary School to open its doors on time and as planned in September 2016. If you would like to find out more about what we do, then please feel free to contact us with your inquiry.